Wish you could draw in the Japanese art style of Manga comics? 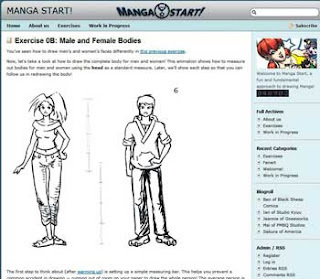 Today’s site promises to help, with a regularly updated ‘how-to-draw-Manga’ tutorial. The site takes the reader from beginner to advanced levels, using step-by-step guides to drawing faces, bodies, and much more.